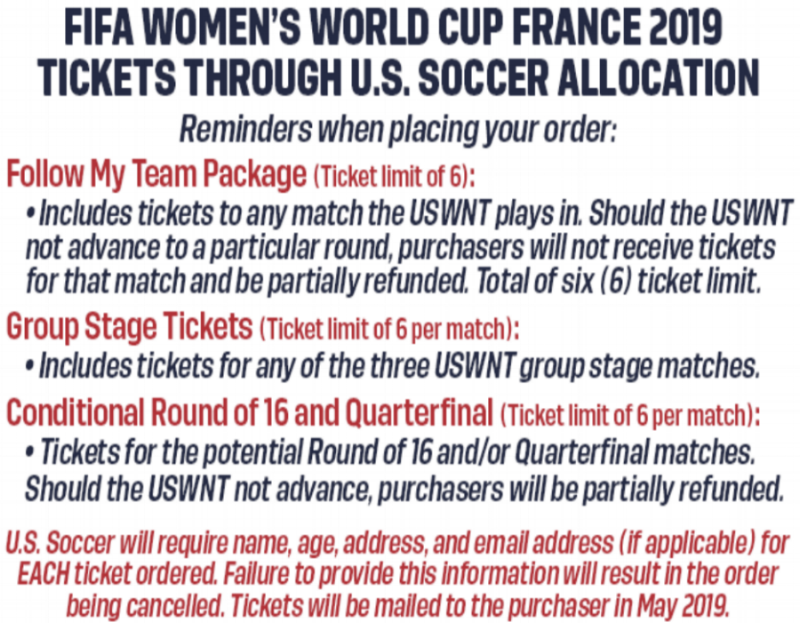 Please use the below step-by-step instructions when purchasing your Women’s World Cup tickets. This will help in avoiding any issues. 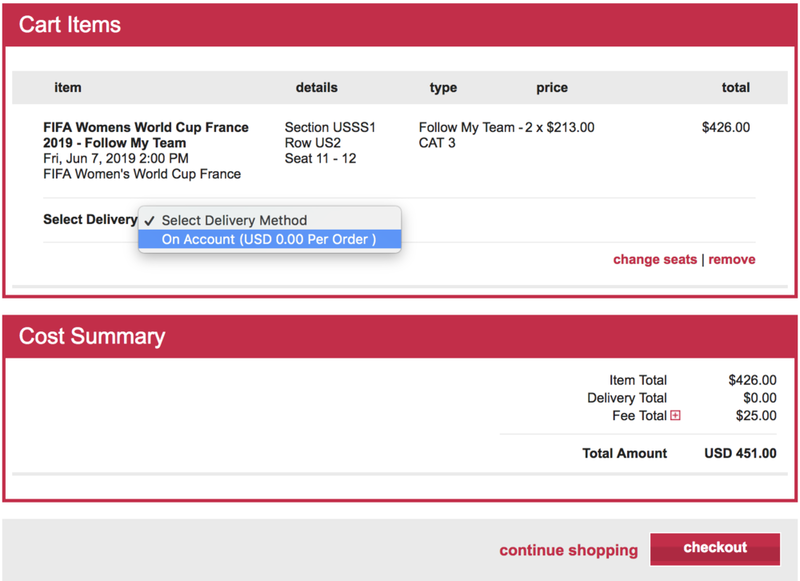 Please be sure to select the correct match to start your ticket purchase and read the description of the match. If you do not know or have forgotten your password, select ‘Forgot Your Password?’ to receive a new one. 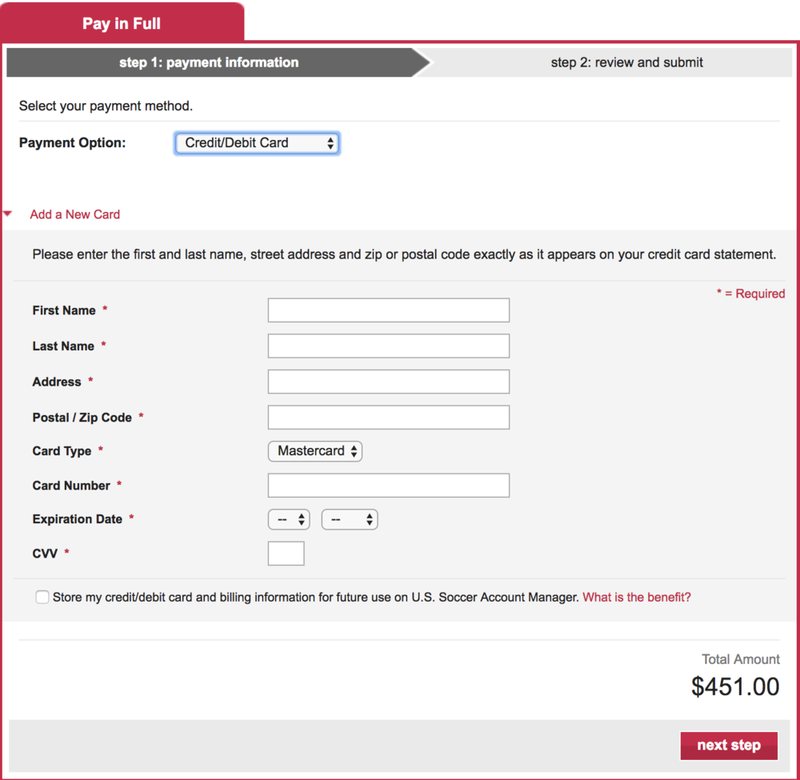 Review your ticket selection and select, ‘add to cart’. In the column marked “Location," please disregard any details that may look like section numbers as these are simply placeholders. Instead, you should verify the ticket category and the amount of tickets. Please note: All ticket orders will include a $25 mailing fee. This fee ensures that we can mail your tickets to you in May.